Hello, my foodie friends! After quite some time, today I share with you a recipe for something sweet again! This one has been waiting in my concepts since we came back from our travel to Colombia last May, awaiting the winter season… Eh, I feel like I have finally woken up when posting it after almost forgetting about it! 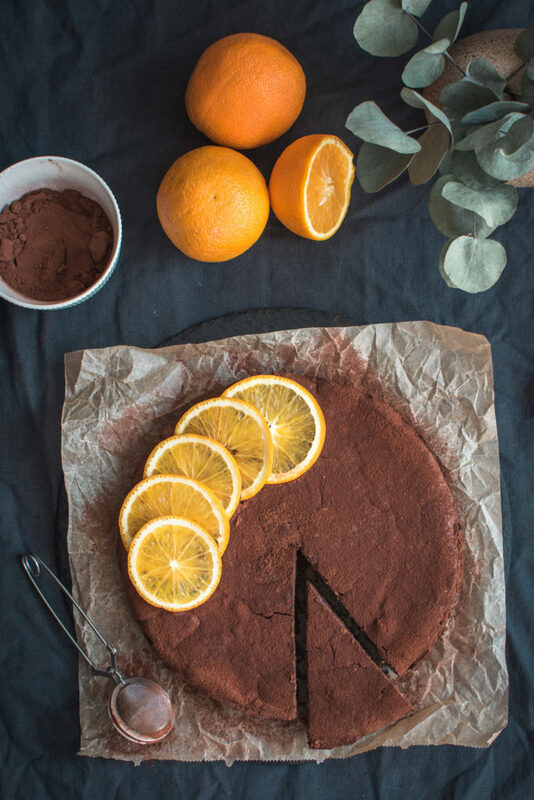 After a long break from baking due to an intense holiday planning last April and consequently being in a holiday mode for a few weeks when we were actually rather eating cakes than baking (who would ever think that they make good cakes in Colombia?! 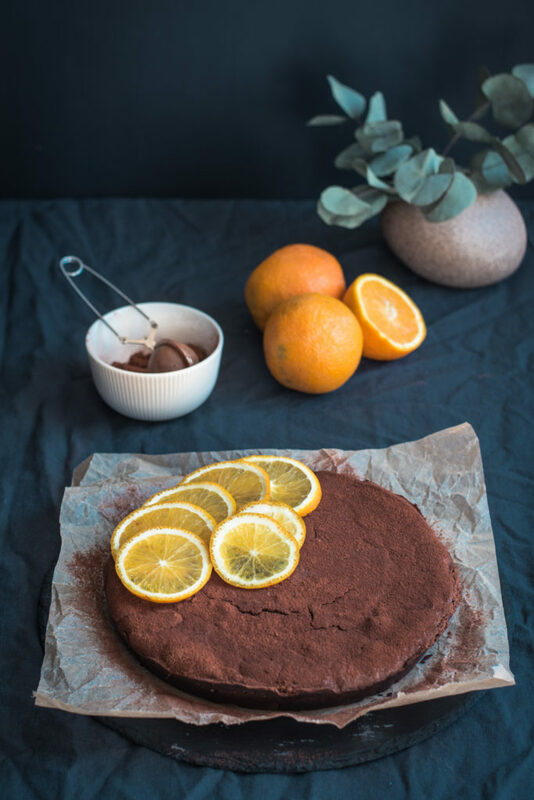 ), I got to bake something upon our return… As I still had some bio oranges in the fridge so I made this delicious and fruity Chocolate Orange Ricotta Fondant Cake and managed to take a few shots finally also so that I could share the recipe with you. 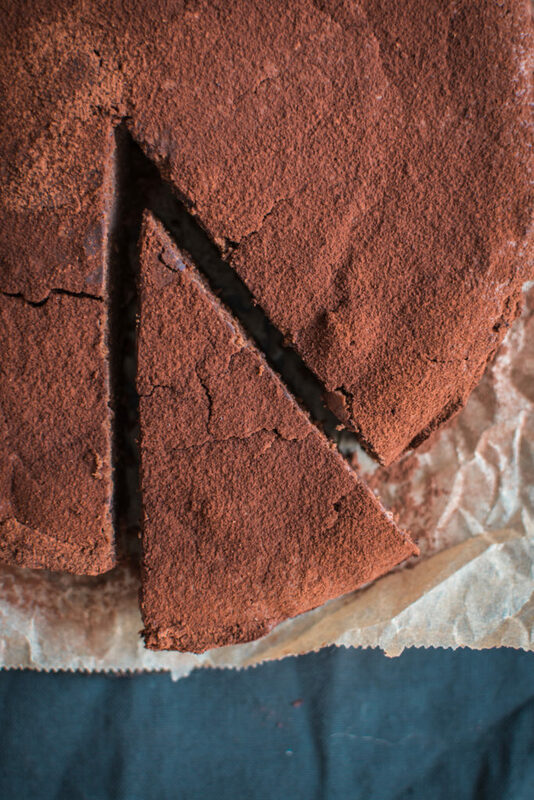 If you wonder whether this cake is similar to the Chocolate Banana Fondant Cake, which was one of my recipes on this blog and has huge success whenever I make it, you are right. 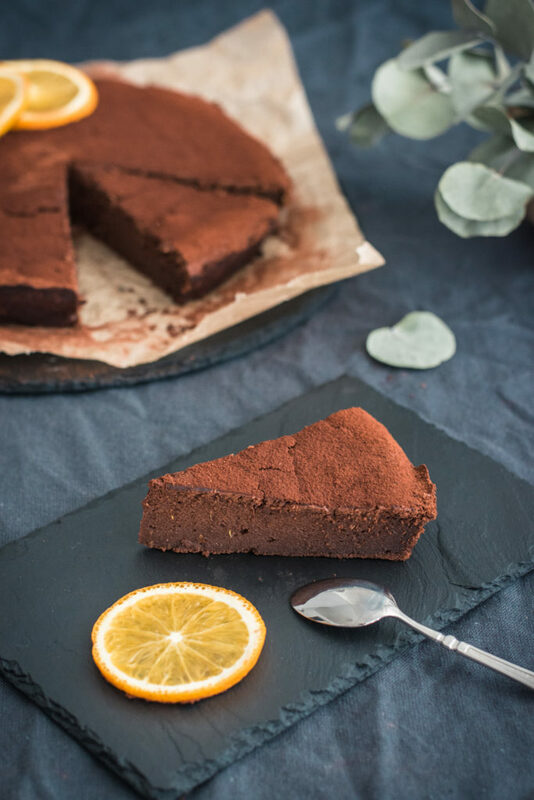 It is also much lighter than the usual chocolate fondant cakes with the difference that in this one the big part of butter is being substituted with Ricotta cheese instead of banana and I also added orange zest and juice for extra fruity flavor. Dark chocolate and orange is one of my favorite combinations. And not only mine I guess! For whatever occasion I make it, people always love it. So who of you are going to give it a try soon? If you make it, please do let me know how did you enjoy it via the below comments – I would love to hear from you! And if you really like it, please share it. 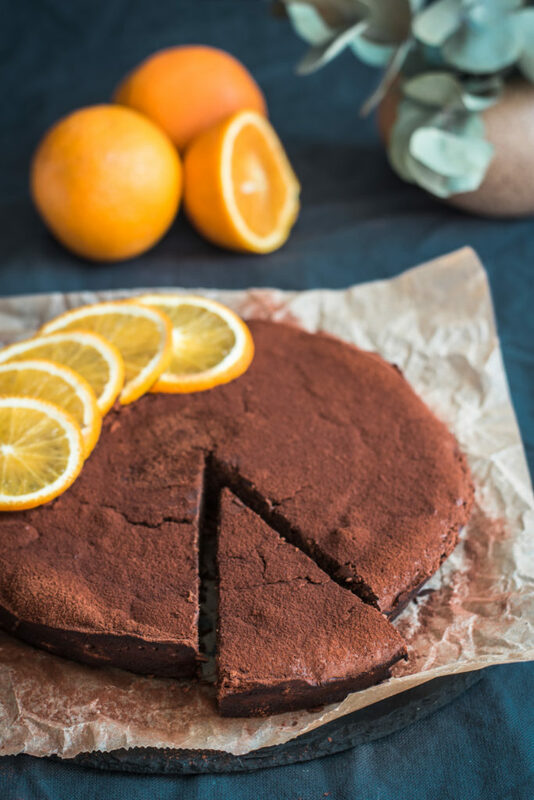 A lighter version of the classic chocolate dessert where the butter is substituted by Ricotta cheese and orange gives it a fresh fruit flavor. Preheat the oven to 180°C. Butter and flour the mould of approx. 20 cm in a diameter. Melt the chocolate in a baine-marie and set aside. Zeste and juice the orange and mix with the chocolate. In a large bowl, whisk together the egg yolks with suggar, add vanilla extract. Add the ricotta cheese, melted chocolate with orange juice and zest. Whisk all together until combined. Stir in the flour. Whip the egg whites with a pinch of salt until firm and fold them gently in the preparation. Bake for about 30-35 minutes or until cooked, testing with a skewer. When done, cool down for about 5 minutes before turning it onto a wire rack to cool further. Serve cold dusted with cocoa powder. You can store it up to 3 days in a fridge.